Dr. Norbert W. Benson II is a chiropractor serving Columbia and the surrounding area. Our chiropractor and the rest of the welcoming team at Chiropractic Professionals of Columbia are committed to providing chiropractic solutions to address your unique needs, whether you are experiencing back pain, neck pain, headaches, or even muscular tightness and tension. You may be searching for pain relief after an accident, experiencing an injury, or if you suffer from a specific condition like chronic back pain or a spinal condition. Even if your looking to improve your overall health, our chiropractor can help you attain your everyday wellness goals! You can get a haircut on every corner. We want your time in our chairs to be more than just a haircut, it's a lifestyle. We are a small shop focused on the things that matter: the best haircut that you can get, well curated grooming products made in America and a consistent experience. For your convenience, we work by appointment only. Finklin Pharmacy has a long commitment to serving its community. 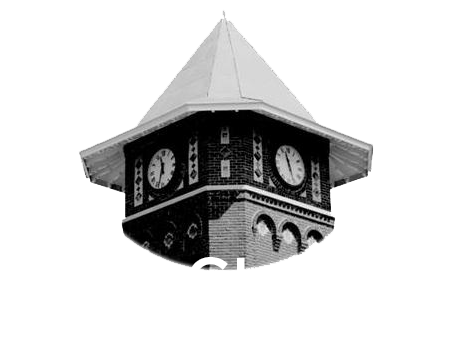 Its’ motto is “We are the neighborhood pharmacy that supports your community.” The pharmacy sponsors Little League baseball, mentors high school and college students interested in pharmacy careers, and is active in the North Main Business Association. Finklin Pharmacy delivers prescriptions and supplies to people who cannot pick them up. The pharmacy also sells Watkins Products. Finklin’s pharmacists are also available for speaking engagements at schools, churches, youth groups and community organizations. Eau Claire Cooperative Health Center was founded with the purpose of addressing the primary health care needs in the Eau Claire community, which was Columbia, South Carolina’s largest underserved collection of low-income neighborhoods. Encounter an eye-opening experience through the professional services of Clear Vision Seminars & Consulting. Clear Vision Seminars & Consulting offers a myriad of consultations and seminars. Our quality organizational and youth development services provide clients the knowledge, skills and motivation they need to succeed. Clear Vision’s mission is to empower, educate and elevate individuals and organizations to clearly see their potential and maximize every opportunity to succeed. At Clear Vision, we get results. Let Gamble Chiropractic Clinic help you with neck pain, upper back pain, lower back pain, leg pain, sciatica, migraines, tendonitis, bursitis, tension headaches, migraines, carpal tunnel syndrome, T.M.J. disorders, fibromyalgia, and other related nervous system conditions to help you live a pain free life. We provide high quality, friendly, professional care to meet your healthcare needs. We offer a full spectrum of treatment options including short term pain management, comprehensive injury treatment and rehabilitation. Damon’s Barber Shop provides haircut and hot shave services in Columbia, SC.